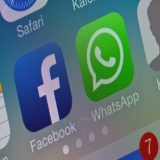 What have European regulators warned WhatsApp? 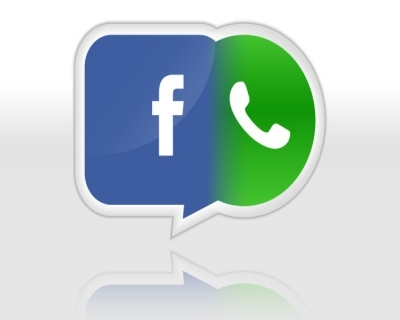 In August this year, WhatsApp announced that it would share more information about its users – their phone numbers and details of the last time users signed on to WhatsApp – with parent company Facebook (and the entire family including Instagram and Oculus). This was a departure from its earlier promises of staying independent of Facebook. An investigation by UK’s Information Commissioner (ICO) followed. 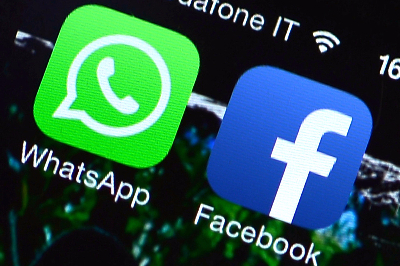 Now, European privacy watchdogs have issued a warning and said they have serious concerns about the adjustments made in WhatsApp’s policy to facilitate data sharing. They have formally asked the messaging firm to stop the data sharing till it is established that European privacy rules are not being violated. The Article 29 Working Party – a collective name for the data protection authorities in the European Union – said more measures had to be incorporated to ensure protection of privacy during information-sharing between firms. Why does Facebook want the data? They promise not to share users phone number with others (other than the Facebook family), retain encryption in messages and not to sell, share or hand over users phone numbers to advertisers. WhatsApp had – at the beginning of this year – decided to go completely free. It had said it would look at other forms of revenue while sticking to its ad-abhorrence policy. In particular, it had expressed interest in collaborating with businesses to become a portal for customer services. This would enable users to receive status updates of products purchased online, warning of a potentially un-authentic transaction from their bank, updates on flight delays from airlines and other such information on WhatsApp. When has WhatsApp stood by its commitment to privacy? Gaining new talent, adding new technologies to the platform and converting a competitor into a child company or collaborator are the main points on which Facebook has centered its acquisition strategy. 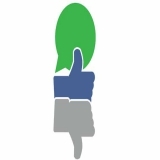 In 2014, when Facebook acquired WhatsApp two reactions summed up several of the first responses – “crazy” and “a cause for concern”. “Crazy” because Facebook spent $19 billion – almost 10 percent of its overall value – on a company whose 2013 revenue was a paltry $20 million. “A cause of concern” because privacy advocates who had approved WhatsApp’s anti-ad stand began to worry about how long WhatsApp could keep up its stand. A little analysis revealed Facebook’s move to be a tremendously bold one driven by sound and smart reasoning. WhatsApp’s user base was increasing at a greater rate than its contemporaries. In addition, it had a low-cost base and the potential to rake in revenue. Thus Zuckerberg went from being a “clueless kid” to a shrewd businessman who gambled daringly to achieve long-term gains. 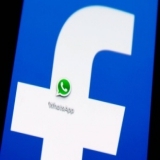 As for privacy concerns, WhatsApp founder Jan Koum assured users that “privacy is coded into our DNA”. WhatsApp stood by the commitment even after the acquisition. In 2014, it rolled out end-to-end encryption for its communications and effectively prevented access to and monetization of users’ messages by anyone (including Facebook). It also adhered to its no-ads policy. But the decision to share users’ phone numbers with Facebook has raised concerns. Lack of clarity. 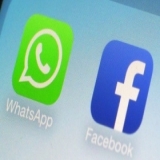 WhatsApp seems to gloss over the fact that other data belonging to users can also be shared. The user needs to update to the latest version of the app and then ensure that all others in her or his communication network need to do the same to prevent sharing of their messages. Total opt-out is not possible. 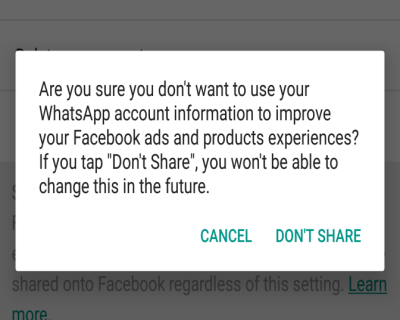 WhatsApp offers the option to stay away from being targeted by Facebook’s ads. Nevertheless, WhatsApp points out that data will be shared “for other purposes such as improving infrastructure and delivery systems, understanding how our services or theirs are used, securing systems, and fighting spam, abuse, or infringement activities”. You consent by default. Experiences have shown that default settings bring some benefits to the user, but on the whole, serve interests of corporations. New users – those who joined after August 25 - would not have the freedom to opt out while older users had 30 days to decide to withdraw. Law enforcement policy has not kept up. Transparency from tech companies is the only way government requests would be more carefully made and allow users to understand what is happening to their data and defend themselves when necessary. WhatsApp is yet to commit to implementing an industry-wide best practice – providing advance notice to users about government requests for their data. 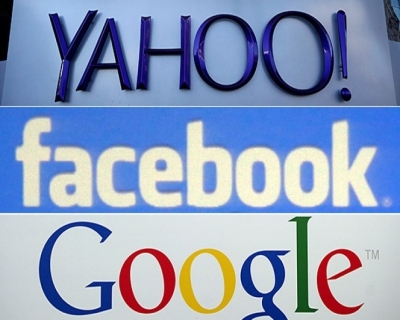 Who else among tech giants have been subject to scrutiny by privacy watchdogs? This right had its inception in a 2014 ruling by the Court of Justice of the European Union (CJEU). The extent to which Google blocked irrelevant information about a person brought it under France’s data protection regulator’s ire. This was just one instance among a significant number of clashes between Google and privacy regulators. Yahoo came under fire from European privacy regulators for a 2014 data breach the company made public this September. The regulators also highlighted accusations that Yahoo was secretly collaborating with the U.S. intelligence services and had built a system to scan incoming emails from customers. Yahoo denied the accusations and has been asked to warn users about the possible risks and cooperate in further investigations about the breach. 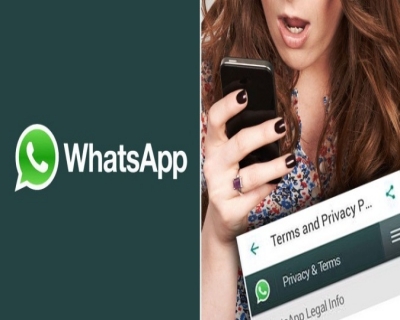 The Delhi High Court forbade WhatsApp from sharing user data before September 25 – the day the policy came into effect. For users who consented to share data, data collected before 25th September could not be shared and for users who opted out, data was to be deleted. The ruling was in response to a Public Interest Litigation (PIL) raised by two students which highlighted privacy concerns. 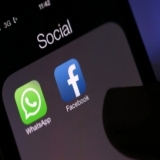 While the court also asked the telecom regulator TRAI to look into how the operation of WhatsApp and other messaging services could be regulated, the PIL’s purpose of getting WhatsApp to reverse the policy change was defeated. 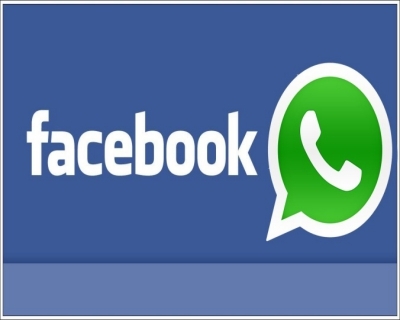 How did WhatsApp gain popularity? It was the first of its kind; it was blessed by the mobile boom and it tapped effectively into young people’s craze for messaging. It stifled SMS as it was the cure for all complaints about the latter – limits of cost, words and number of contacts, and inability to send multimedia content. It was much easier to find others and be found on WhatsApp. It even broke the platform barrier and enabled seamless communication across the globe. Once user count reached its critical mass, it served to attract more people into using the service to communicate. It did not impose ads on users. When other competitors entered the arena, WhatsApp had become too popular to be abandoned. In May 2016, Android device usage data revealed WhatsApp to be the most popular app in 58 percent of the 187 countries surveyed. 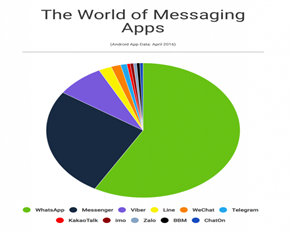 Facebook’s Messenger followed fairly far behind with 26 percent. 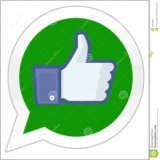 This despite the sophistication and additional features WhatsApp’s competitors offered.